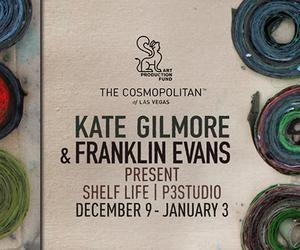 The Cosmopolitan of Las Vegas, in partnership with Art Production Fund, is pleased to announce P3Studio artists-in-residence Kate Gilmore and Franklin Evans. Through their interactive project, “Shelf Life,” Gilmore and Evans will use the activity of shared art making to explore Las Vegas. By juxtaposing the absurd with the logical, the project’s collection of curated and transformed material objects will reflect the principles that underlie the artists’ broader portfolios. Gilmore and Evans will kick off their residency with an educational artist talk on Wednesday, Dec. 9 starting at 7 p.m. This educational event will be open to the public and will showcase their skills as they discuss their P3Studio residency and previous works they’ve created for various museum installations and under art grants around the world. During the event, guests will enjoy small bites from Rose. Rabbit. Lie. Shelf Life will begin with a clean gallery space lined only with empty wall-to-wall shelves. During the weeks that follow, the artists will call on guests to fill the shelves. From photographs to T-shirts, drawings to souvenirs, various materials will be collected and, with the artists’ guidance, given a new life as they are transfigured and placed on display. For example, if a guest were to bring in a Las Vegas T-shirt, it could be ripped, drawn on or dipped in plaster before being placed on a shelf. Kate Gilmore is a multi-media artist whose works include videography, photography, sculpture and performance. She has exhibited nationally and internationally at such institutions as the Museum of Contemporary Art Cleveland, the 2010 Whitney Biennial, the Whitney Museum of American Art, the Brooklyn Museum, MoMA PS1, The Kitchen, Parasol Unit in London and the Museum of Contemporary Art in Chicago. She is also the recipient of the Rome Prize from the American Academy in Rome and the Louis Comfort Tiffany Biennial Award among others. Franklin Evans is a painter and installation artist whose work appears in public collections and exhibitions across the country and around the world. Since 2005, he has had 16 solo exhibitions in the United States and Europe in addition to numerous group exhibitions at venues such as MoMA PS1, the Nevada Museum of Art, The Drawing Center and Yerba Buena Center for the Arts. His work has been featured and reviewed in The New York Times, Art in America, New York Magazine, and Artforum, among other publications. 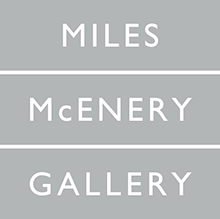 He is also the recipient of numerous awards and grants, including the Pollock-Krasner Foundation Grant, the New York Foundation for the Arts Fellowship and the PM Foundation. The P3Studio artist-in-residence program at The Cosmopolitan of Las Vegas represents one component of its larger art program, in which artists create projects that are interactive and participatory, giving guests the opportunity to connect at an authentic and personal level. Developed and curated in partnership with Art Production Fund, a nonprofit organization dedicated to producing ambitious public art projects, it strives to reach new audiences and expand awareness through contemporary art.